Cats@Work. Laugh at your job! I have some pretty big news! This is something I’ve kept pretty much off the grid (unless you’ve been paying reeeally close attention at my Instagram feed over the past couple years or so). 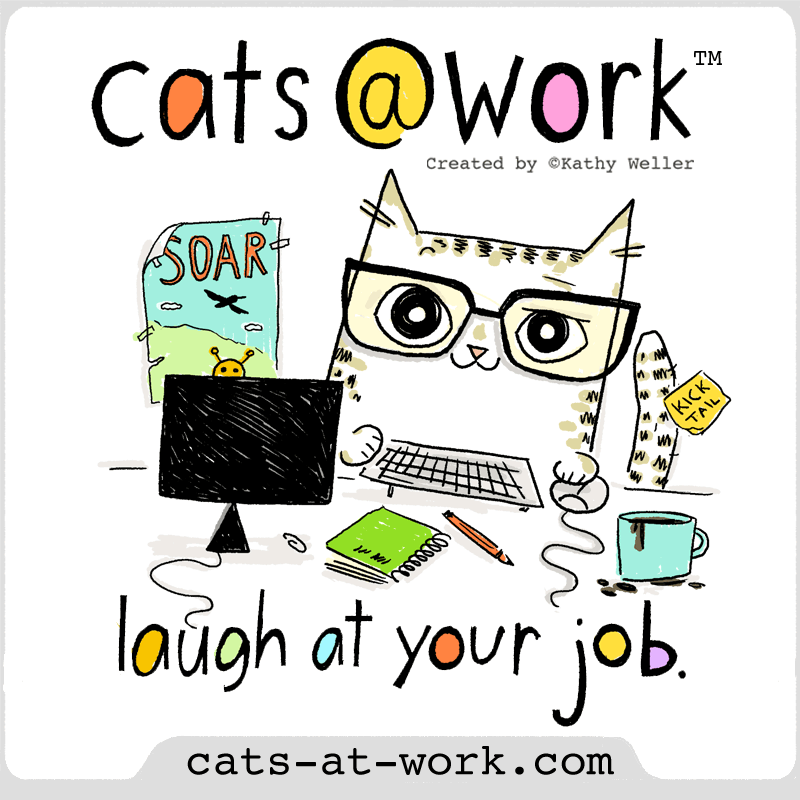 I have just launched Cats@Work: it’s a character world, a one-panel funny where you can laugh at cubicle life with a bunch of kooky office-dwelling cats. So… I just launched Cats@Work today… Woo Hoo! Now there’s Cats@Work social media for almost every type of, umm,”social media consumption”. ^__^ Well, except for Google+. But besides that, I think I’ve pretty much covered the bases. Please, please, PLEASE Follow, Like, Pin + Repin, Heart, Share, Tag and hashtag (#kwcatsatwork) to your hearts’ content. I TOTALLY LOVE YOU for it, I seriously can’t tell you how much I appreciate the support. It’s been amazing so far when I pre-announced the C@W news on my regular FB Page and by the time I launched today I had about 70 likes already! Now THAT is some AMAZING support!! 🙂 And now that C@W had finally launched, I just want it to grow like an out-of-control office plant.